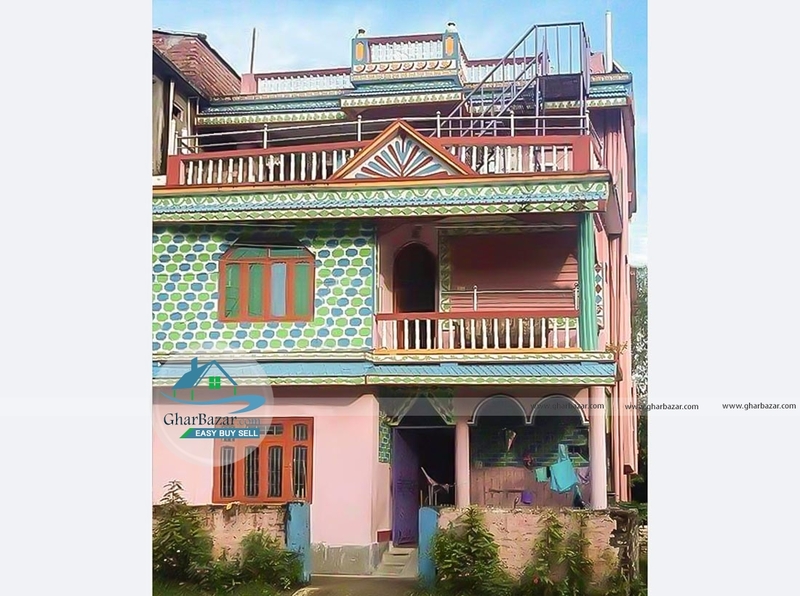 This house is located at Surunga, Jhapa near by Harikul School. It is 150 meter away from Mahendra Highway and has two intersection road 35 ft in north and 42 ft in south. The house is built in area of 6.5 dhur. It is a semi furnished 2.5 storied house with 6 bedrooms, 1 kitchen, 1 living room and 3 bathrooms. The property price 78 lakh 75 thousand.